We loved this joint on our first visit in 2010 but our on last two visits we thought it was a bit "meh". We've been to Japan a couple of times and eaten a heck of a lot of ramen since we first blogged this On Ramen. Either our ramen tastesbuds have become better educated, or On Ramen has slipped a bit, possibly a bit of both. We're not particularly fussy about our ramen, not by ramen-nerd standards anyway. All we ask is that our ramen taste "Japanese". At On Ramen the broth and fixings has a distinctly non-Japanese flavour to it, it tasted Chinese to us. We could dissect it and nitpick it to death, but let's just say we walked out feeling flat, not with that "woohoo" feeling that a good ramen gives us. It was edible and had it's good points but Ramen Zundo and Gumshara are only a block away by foot, and miles ahead in Japanese-ness. It's a real shame because this is a great little spot with such potential, with those stools and the counter wrapping around the open kitchen you could really make this place just like a ramen bar in Japan. We would go so far as importing a vending machine to put out the front (at Japanese ramen bars you often order via a vending machine which gives you a ticket to give to the ramen chef, saving the venue a lot of time and hassle). On Ramen is in a beautiful building in Haymarket. Pokka Oolong Tea - unsweetened - refreshing! The Tonkotsu Ramen is just how I like it: the broth is made from proper pork bone stock, not to heavy, not too light, an almost milky texture. And there's a soft boiled googie egg and melt-in-the-mouth pork. Excellent noodles. This is my new favourite tonkotsu ramen in town. And it's only $8.80, very, very happy. Side salad, has a delicious dressing and, of course, some mayonnaise. Salmon sashimi. I love the knob of wasabi perched precariously on the lip of the plate, like green play doh. This is what Alison really ordered the set for: Japanese Cheese Sausage (she has a fixation with Asian sausages) with mustard and two takoyaki (octopus balls) topped with dancing bonito flakes and mayonnaise. On Ramen is at Shop 4, 187 Hay Street, Haymarket - (02) 9211 6663. Open 7 Days 11am - 10pm. I must have walked by this place 100 times but never took any notice of it...silly me. I think this is underneath where Bodhi's used to be (back in the day). Looks yummy! zomg the pork rib ramen! i want i want! hey dude are you coming to the sydney food bloggers picnic on sat? thank you ! 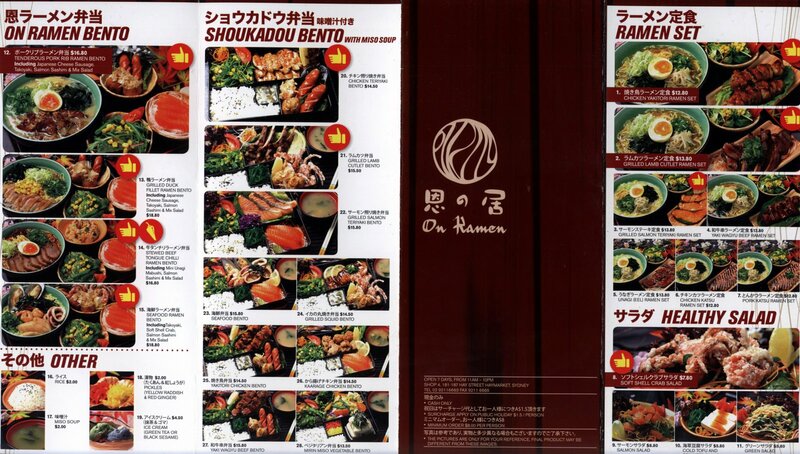 we are trying this next.. we tried the one in gold coast (hakataya) from your review and it was awesome!. Thanks for letting us know Julius - we're just about to head up to the Gold Coast and was hoping (praying) that Hakata would still be there, that old arcade's days are numbered - ramen here we come - woohoo! it is still there! we went there last november :D .. the takana pickles is awesome too ! Yes, we've been to both ramen places and they are good, although we did find Ramen-Kan too salty the first time and need to go back. Shame about your experience anon - sometimes places just have an off day. 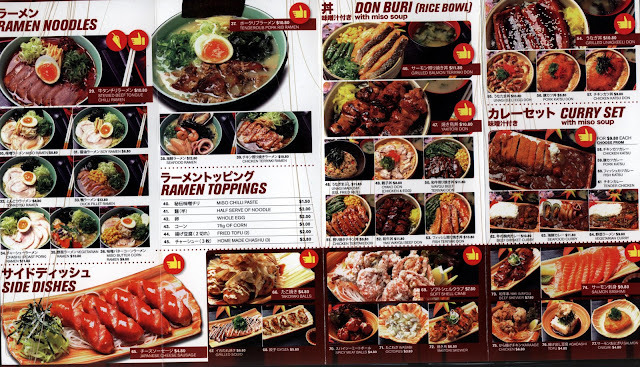 I agree with Ramen-Kan being slightly too salty...but too tasty to resist nonetheless! Ramen shop is serving Sashimi? Unbelievable!